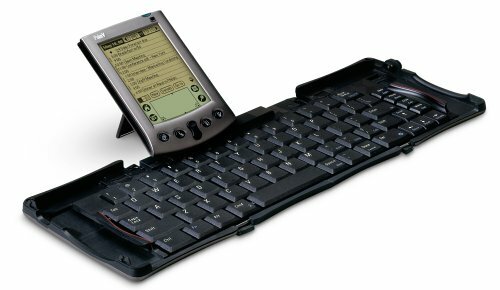 A long time ago I was using the Palm Pilot devices and I loved when I found out there was a folding keyboard for it. It used to be just awesome to be able to pull out this smaller than a wallet sized item and fold it out into a full keyboard to type my notes on. Wholly impractical, but still very cool. Fast forward to present day and with the advent of tablets and the like, being able to type on a bigger screen gets a little harder, so there's been quite a few different Bluetooth keyboard out there that are available. 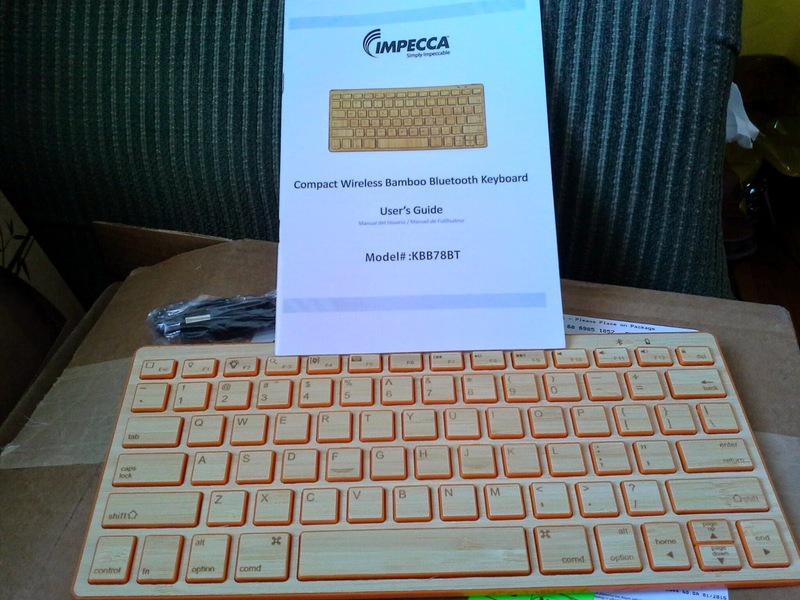 And today I get to play with the Impecca Bamboo version. At $100 it's on par, or in some cases pricier, than other BT keyboards, what is it about this keyboard that lets it stand out from the others? Well, it's thin, and sure, for many versions out there thin is in... but for the price it's very thin. The other thing is obviously the bamboo. There are not many bamboo products out there, so when someone sees it, it stands out. 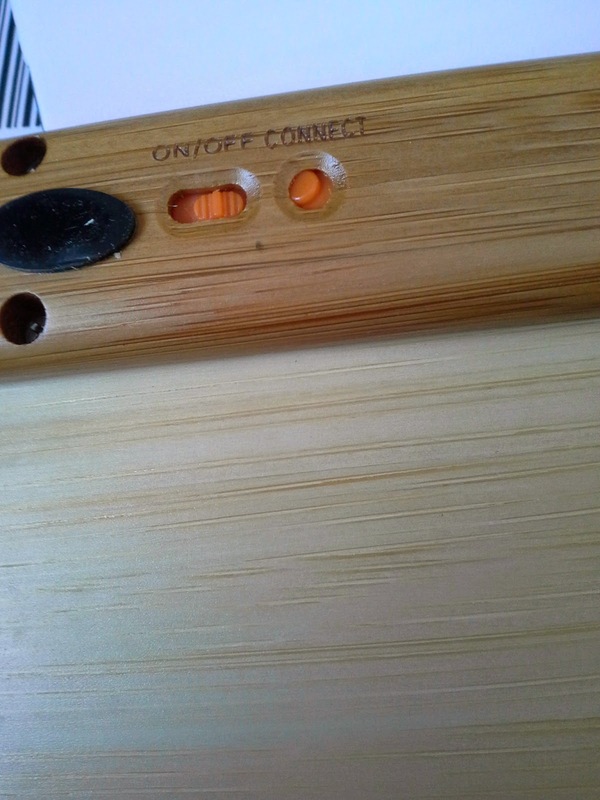 Being made from bamboo is supposedly the choice for wood products for those environmentally minded, also lets it feel sturdy for the thin feel. Did I mention that it stands out? I'm working a booth at the mall for my day job on the weekend here and it's attracting more attention than my handouts (then again, some of the things I deal with are pretty drab for the average person). I'm typing this report up right now on my Note 8 using the keyboard and so far I haven't had any real issues with it. I've maybe missed a SHIFT on a capital, but that's about it (I had another issue, but I think I've figured it out... where it would miss a space, especially after the letter I. This comes about because I'm too fast on typing and was essentially typing a SHIFT+SPACE which is not a space.... so I'd think I typed a space, but really not... so that's a user error, not the keyboard). One downside has been that as I work my booth I leave the keyboard alone for a bit and it goes to sleep, so tapping a key will wake it back up and then I might have to wait for it to reconnect (depending on how long it's been since I last used the keyboard). In terms of using the keyboard for the specialized buttons, it really tends to be iPad focused for some of the features. The 'home' key has the iOS square, the bright options don't work on non-iOS devices. These are achieved by using the Fn key and the corresponding function key. As I said, most of it works with the exception of the lighting keys. Battery... so far, I haven't had it die on me yet. I believe it said something like 4 hours of straight typing - which would be a lot of typing. So unless you're using it as your main keyboard for every day work, I don't think you'd have an issue. I think my tablet would long since die before the keyboard. It doesn't seem to take long to charge up either. One thing I appreciated, and you don't often see in some keyboards is ensuring that your regular keyboard functions are still there, like for me the biggest thing is being able to correct my incorrect spelling... so using the control+arrow keys to move around, or even alt+end, home, etc... I use them extensively on my desktop as I don't like having to switch over to a mouse, and on a tablet it would be even more annoying to stop typing to reach up to the tablet to move the cursor around. I've also noticed that while in a web browser functions like alt+d to jump up to the URL, or hitting CTRL+T for new tabs. also work. It's that ease of being able to use the keyboard the same way I would on a desktop that really has me enamoured. Now when I talked about durability, the keys I have no issue with. The bend factor is not a concern for me either as, although it's thin it is sturdy enough to not have to worry about it getting bent in normal usage. What does kind of bother me is the assembly. On the back where the connect button was, it was put together so the button was trapped under the wood keeping it locked down - so I had to get in there with something to pry it a little loose. 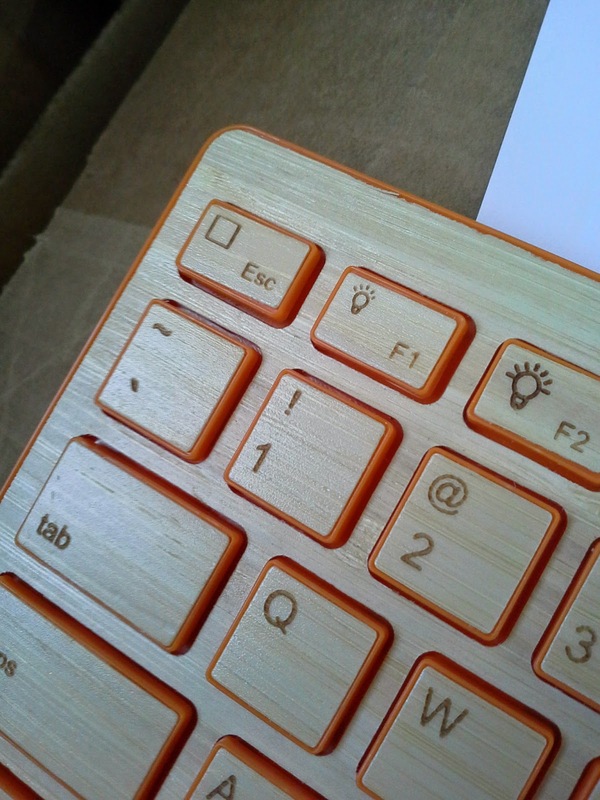 Also, the buttons for on/off on the back and the connect key are very recessed, so it take a little bit of a nail to get in there (but keep in mind you'll only have to ever use the connect key once for a device you want to have it paired with; and with the sleep mode you could more or less leave it in a 'on' position all the time). Then there's the placement of the keys... they are a bit faint, but for me, seeing that ESC key and it's just slightly off squared it just bugs me. I'm sure it's nothing majorly concerning about how it'll perform, but it's something that it's all I see when I look. Overall, it makes using my tablet a little more practical. One thing I would have wished was making it a bit thicker to have some sort of integrated stand - because for now I'm having to go through and find ways to prop up my tablet so I can see as I type. Other than that, it works exactly as you would expect it to work, which makes using it so much easier with no learning curve. I think it's telling, when even my son wants to use it for his Note 2 as "tapping the screen takes too long."